The United Nations secretary-general has expressed the body’s readiness to help consolidate recent peace and diplomatic gains in the Horn of Africa region. The resolution of the decade-old border spat was thanks to the efforts of Ethiopia and Somalia. Foreign Affairs ministers of the two countries met for the first time last Thursday in Djibouti along with their Ethiopian and Somali counterparts. The meeting was preceded by a tripartite summit of Heads of Government in Asmara where Somali president Mohamed Abdullahi Mohamed Farmaajo, Eritrean president Isaias Afwerki and Ethiopian Prime Minister Abiy Ahmed signed a cooperation pact. Though the news of making the SEEDS (Sudan, Eritrea, Ethiopia, Djibouti and Somalia) Countries a reality is encouraging, we, Eritreans, have the right to know on what basis these agreements are founded. And to continue forward with these agreements, first thing must be first, Isaias Afewerki has to go. A mad man who does not understand law and order can’t continue in the same position, where he led the Eritrean people to destruction. Hahahah,”,,,, we Eritreans ,have the right to know on what bases,,,,” well, you must be so deluded then Aboy Keshi if not pretending to know the parameters under which Issais makes or scraps demotic and foreign policies. One the other hand you are calling Issais to go because according to your own views he is a “mad man” but at the same you are demanding him to divulge the bases of his negotiations with leaders of the region. Sorry it can’t be both; either stick with your belief that Issais is a pure dictator and he shouldn’t be expected to be transparent about what he does or drop your agitatives and prey for him to succeed on his mission to ruin the country to the end. Brothers, this kind of fragile belief and wish-wash behaviour from the so called “justice seekers” is thwarting any progress toward effective movement for change in Eritrea. 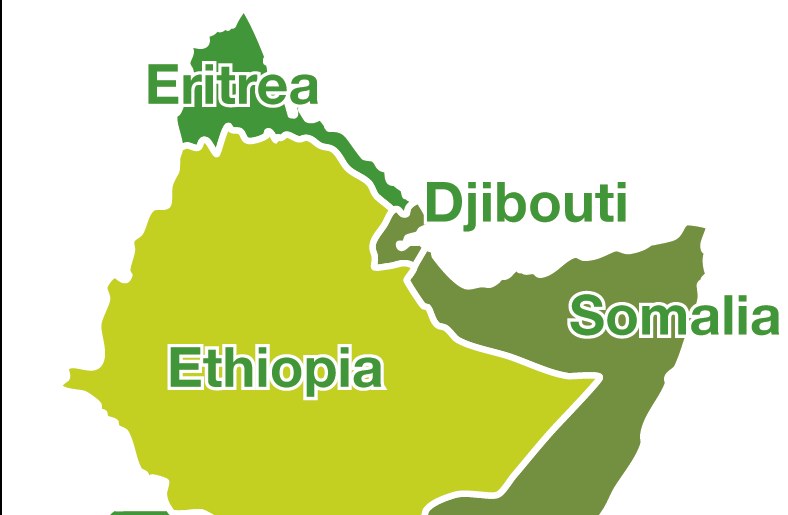 Somalia, Djibouti and the Sudan are brought in to the equation to confuse the Eritrean people about the “Medemer” with Ethiopia! The Eritrean people are supposed to think ‘oh, it’s not just Eritrea and Ethiopia, it’s the whole region’ when in reality Isaias & Abiy are only spicing up their agenda & trying to hide behind this ‘regional’ peace that involves ‘many’ countries! This must be the hoax of the century!! Eritrean and Ethiopian military officials met at Zalambesa border. The border is open. ብምድማር ምሽቃት ሃሲሳ። ኤርትራ ተሸይጣ ውን ስዒባታ ብሕጂ ከ እንታይ ክምሃዝ እዬ።?? What are you talking about? Unless you are an Ethiopian, what iseyas is doing is not going to be of benefit to you. iseyas ebud is trying to sell Eritrea and we Eritreans are going to make sure it never happens. You and your ebud merahi need to find a hide out in Ethiopian as soon as possible. Tewelije who have the same agenda as iseyas are the problem. You apparently are one of them hidat ede.